I just wanted to put up this little post. In honor of this, you will get excerpts from one of my early scrapbooks. In the last year, I have lost three family members. The first was my grandpa on my mom's side. He died March 12, 2012. The day I took the GRE (my mom didn't tell me until after the test was over so as not to stress me further). I started this blog around that time, as well. I was lucky enough to get to spend a little time with Grandpa before he died. He came to my mom's wedding a couple years ago and my mom, brother, sister, and I went out to see him not long after he was put in an assisted living place (my step-grandma had a hard time looking after him herself). He had dementia, but he was so high-functioning that no one knew until about a year before he died. His sister's death seemed to trigger the decline. He remained fairly lucid throughout the year, but his sense of time was completely off. 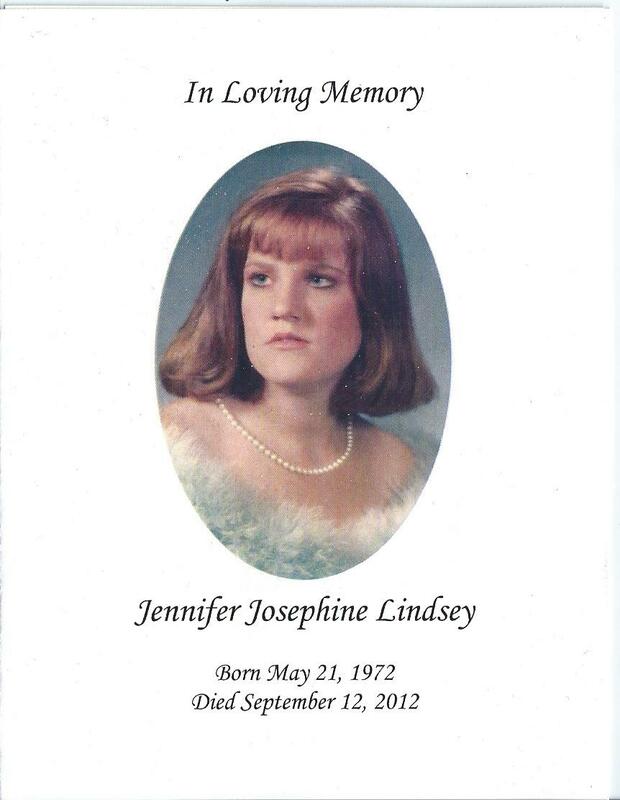 About six months later, my Aunt Jennifer (also on my mom's side) accidentally killed herself by taking her medications with alcohol, an apparently fatal mix. 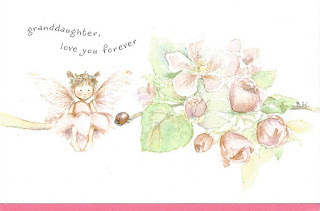 She left behind a husband and two girls, one of them still quite young and the eldest had already dealt with the loss of her father when she was young. 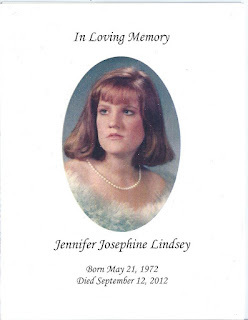 Even though my Aunt Jennifer and I were never super close, it's hard not to miss her because she was so bright and fun-loving. Yesterday I lost my grandmother (Baba) on my dad's side. She had Alzheimer's.The progression of her disease was much slower than Grandpa's. When we were young we used to see her almost every Sunday. We walked around Villi Italia Mall (which is gone now) and we always ended the trip with ice cream. Those were good times. Even in those days though, she repeated herself a lot. One of my early scrapbooked pages. The bottom left picture is the only picture I have of Baba. She and my grandfather (Poppa) had been divorced all my life and Poppa re-married. 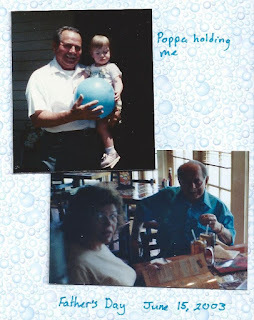 My Poppa died in 2003, which was and still is a hard one for me to deal with. At his funeral we saw my Baba. She thought my sister and I were twins (she didn't remember who we were) and told us about her twin daughters (my aunts who, of course, we knew). That was hard. We didn't see her for a long time after that. The bottom picture was taken two days before Poppa died. "Mortality is the price we pay for love." -Said by the Rabbi at Poppa's funeral. I got a birthday card from her that year and I kept it very close because I had a feeling it was the last one I'd be getting from her. I was right. My Auntie Francie sent a few for her after that, but they weren't Baba's doing. The inside reads: "I believe in magic... in fairy princesses and dreams that really do come true. It isn't any wonder that a thousand years from now, somewhere, somehow I'll still be loving you." I tear up every time. She started to regress in age. We met her once for lunch maybe five years ago or so. She seemed to realize that we were all related, but she didn't seem entirely clear on how. I didn't see her after that. My dad said that she regressed to the point where she thought she was a young woman again. She would dress up, do her hair and make-up (which she almost never did before). She even flirted with my dad, not realizing that he was her son. I suppose, in a way, the regression was good for her. It gave her a chance to live a lot of life that she never got to have. She and my Poppa were in the Holocaust and (as far as we know) the only survivors of their families. She spent her teenage years very sick in a ghetto. Her story is kind of a miracle, actually. She was young when she was in the ghetto. She never did go to a concentration camp, which was lucky for her. She got typhoid fever while she was there and got so sick that they threw her body out with the dead. Her friends sneaked out in the night to bring her back. They managed to nurse her back to health and did her work for her so it looked like she was doing it. They had to sit close on either side of her to keep her propped up. In the end she survived. And she managed to sneak a bunch of Nazi money and pictures out in her boots. I don't know how she got a hold of them. Now my family is in possession of some bits of Nazi money and some original Holocaust pictures. My Poppa was sent to Dachau and Auschwitz. He was only 14. His survival was miraculous as well. He was learning to be a brick layer, a good skill to have, which probably saved him. I have forms of dementia on both sides of my family, yay. Genetic goldmine, yes? Because of Baba, though, I have a hard time watching movies like "The Notebook." I watched it once and never will again. Hits a little too close to home. There was also an episode of House where Dr. Foreman's mother visits. It's clear that her memory isn't what it used to be, but Foreman spends a lot of time talking to her. You realize at the end (as he does), that she doesn't know that Foreman is her son. I sobbed after that and I haven't watched that episode since. It's hard to be forgotten by a loved one. She wouldn't like that I wrote all of this about her. She always said that she never wanted a funeral service, she didn't want anyone to show up, she just wanted to be buried in a burlap sack and have everyone go on with their lives. Kind of funny, I guess. She threatened to haunt my dad and aunts if they made a big deal about it. Her burial is tomorrow and there are going to be tons of people there. My dad's family lived in a neighborhood in Denver that was almost entirely Jewish immigrants and their children. They all grew up together and still stay in contact. News of her death has, of course, gone through the grapevine to all the children (now grandparents themselves) and all of their parents who are still around. No service, though. It will just be a burial at a Jewish cemetery nearby. The same one Poppa is at. Now I have two to visit when I go there. This is sad for me, but I no longer have any biological grandparents left alive. 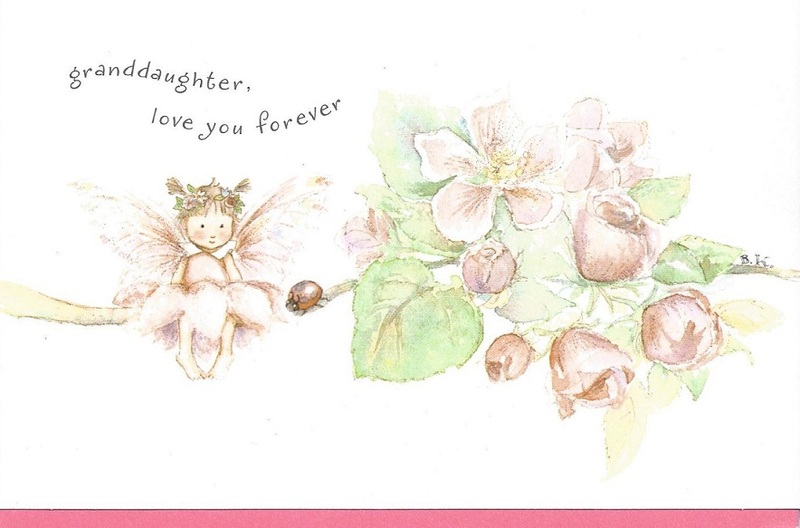 My mom's mom, Nana, died when I was very young, but she and I were very close. Mostly I miss the fact that, if she hadn't smoked and drank so much, she could still be around and be part of my life. It's like there is an unfilled hole there, you know? I do have two step-grandmothers left and they have both been around my whole life, so I am glad that they are still here. And my dad and aunts group of friends, (they call themselves the West-side Gang) are like family, too. That helps. The top picture is pretty clear. I cut off parts of this page. 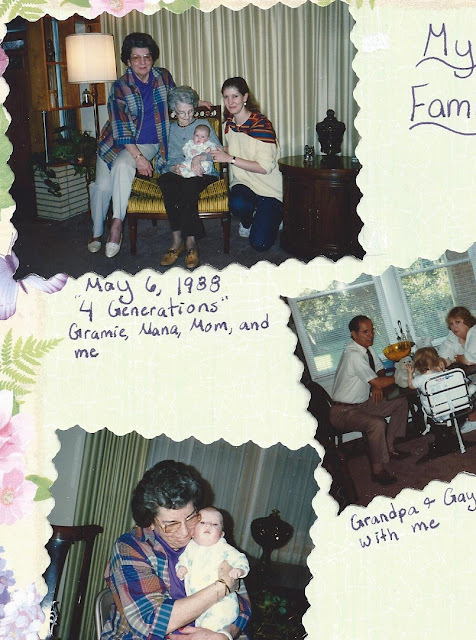 On the right is my Grandpa and step-grandma (Gaye) with me. 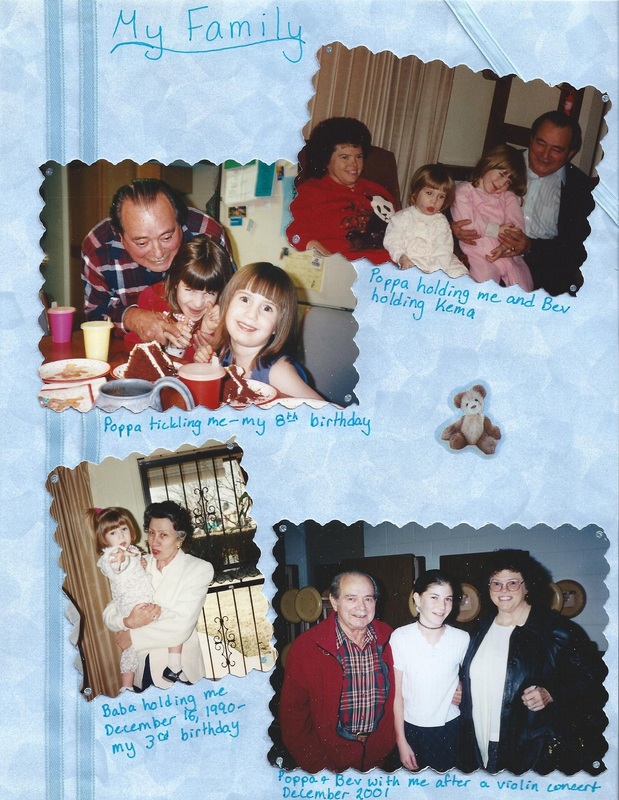 The bottom picture is my Nana holding me. It's hard not to miss those people who have been lost. But I guess it is better to have loved and lost than never to have loved at all, right? That's my sad story of the day. I hope I don't have any sad posts for a long time. "Fearful to love that which can be touched by death... holy to love that which has been touched by death." -Said by the Rabbi at Poppa's funeral.